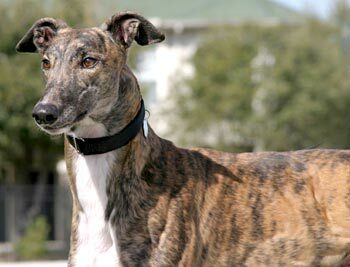 Raider, aka Boc's Raider, is a handsome, 2-year-old brindle male born February 13, 2007. 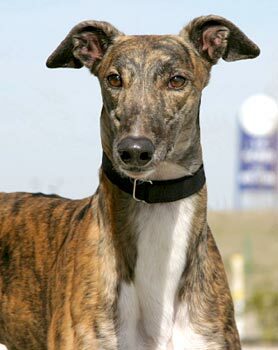 His sire is B's Royal Tim, making his grand sire the famous Molotov, and his dam is Flying Almena. He sports the famous Molotov signature of a white chest and throat. 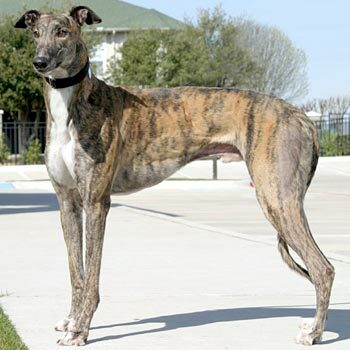 Raider's career of 16 races started November 28, 2008, at Valley Race Park in Harlingen, TX, and ended there on February 21, 2009, with a dropped right shoulder muscle. Raider's injury will not affect his life as a companion pet. He is being leash walked until April 10, to ensure healing of the muscle. It is not known at this time if Raider is small animal or cat tolerant.